801.00 sqft. - 1215.00 sqft. 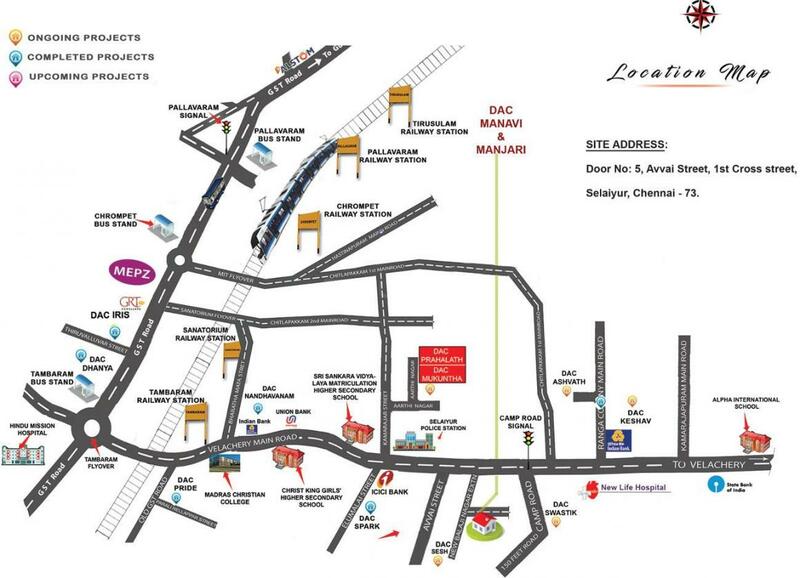 If you have been wishing for a well-planned apartment for your family in Chennai, you must check out DAC Manavi & Manjari in East Tambaram without fail. 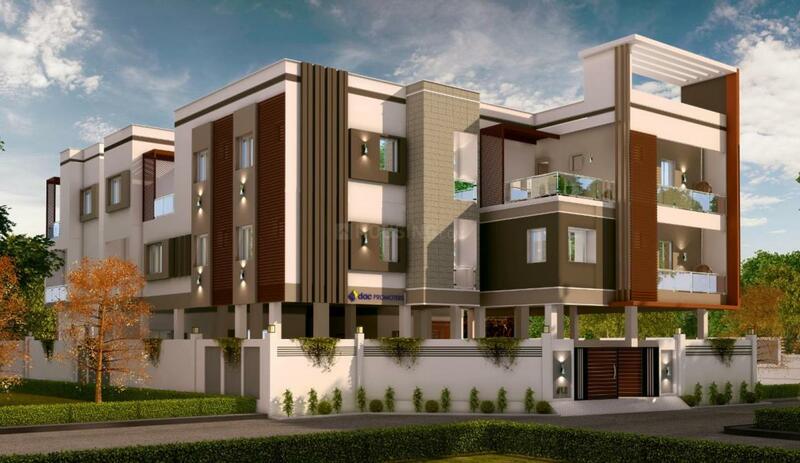 This project is located right near the Selaiyur Lake that enhances the value proposition of this project by several folds. The project is slated for possession in 2020 and is offering a limited number of units for sale. There are some strong reasons why you should consider this project for buying your dream home meant for the whole life. Firstly, you will get all the necessary amenities within the project campus without any hassles. The quality of construction is far more superior as compared to the other projects. In terms of external factors, there are parks like Anandapuram Park and Thiruppur Kumaran Park in the vicinity. There are several famous temples, churches and such pious places near the project. In overall, you will enjoy a pleasant stay at this project. 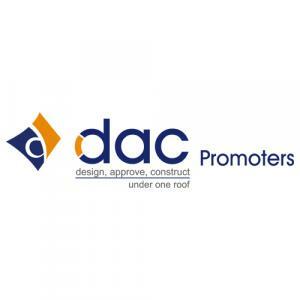 So, do not wait and book your site visit today.